People often ask about investing in websites or even other “alternative” investments through their retirement accounts. Many of us may not have a lot of free cash outside such accounts, but we would like to take advantage of the higher returns that websites and other alternatives can offer. It’s actually an easy process to set up a “self directed” retirement account. You may have an account today that is self directed in the sense that you can choose what stocks, mutual funds, ETFs, etc. to add to your portfolio or even buy and sell at will. All the major brokerages, such as Ameritrade, Fidelity, Charles Schwab and the others offer such accounts. But they are limited to traded securities, and not alternative investments. However, there are companies who specialise in allowing the investor much more freedom regarding where to place their retirement savings. Whether it is websites, property or even precious metals, these companies can set up accounts and manage them for you – but, there is a process that must be followed to be sure you don’t violate the intricate rules of the IRS and invalidate your retirement investment! The rules are beyond the scope of this article, but we have tried a couple of these companies, and we can unreservedly recommend one of them: Provident Trust. The first company we used (which will go un-named) was very difficult to work with and required the use of very complex forms. They also charged very high fees – so much, in fact, that by the time we got our profitable investment back in our hands, we had lost all the profits to their fees! Big mistake, and not going there again; but this time we tried Provident, and they are a dream to work with. Their forms are simple, and their people are easy to talk to. We sent a sample contract from our website supplier, and they accepted it right away, funding the deal in a matter of days instead of weeks. 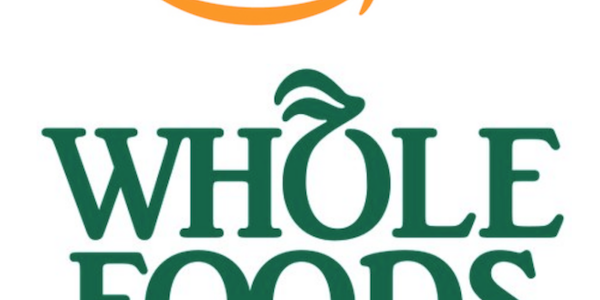 In yet another indication of the growing power of online over bricks and mortar, it was announced today that Amazon is buying buying Whole Foods in a deal worth about $13.7 billion. Only a month ago, problems started becoming evident that resulted in a board shake-up and the implementation of cost cutting measures due to falling sales. What to expect next? Maybe ordering your groceries through Alexa and having them delivered by drone? Only time will tell, but the move provides further evidence of the tremendous shift from traditional sales channels to online.